In this image the Turtle is shown in outdoor storage at the National Naval Air Museum; Sherman Field, Naval Air Station, Pensacola FL before the 2005 Hurricane Ivan wreaked havoc on the air station. The ship has once again been restored to museum show quality condition and moved to indoor display. 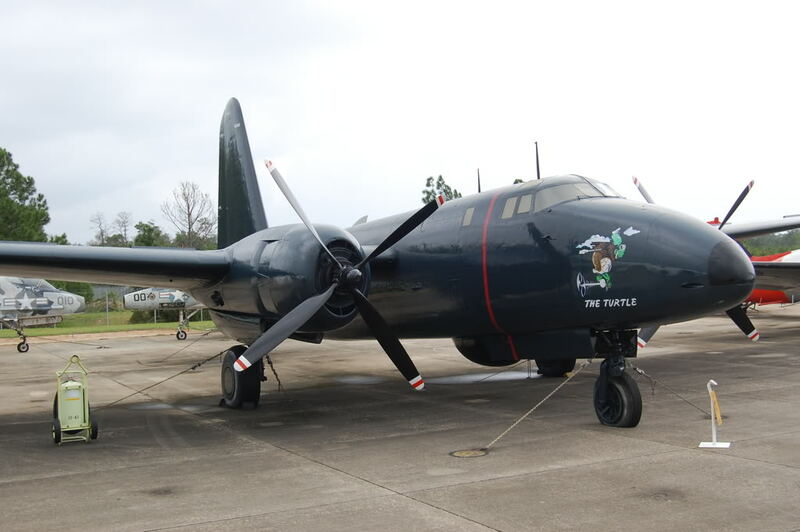 The Patrol Squadron Two Association has declared its intention to sponsor this renowned aircraft for its continued maintenance and upkeep in perpetuity. In 1946, at the beginnings of the Cold War and the Jet Age, this aircraft demonstrated for the world that a US Naval Aircraft had the ability to carry a substantial payload over a great distance by traversing the Pacific Ocean and two continents in a non-stop non-refueled flight of more than 11000 miles.